It’s not just about Dippy! Anyone who knows The AC knows we love the Natural History Museum. We adore the building, the fabulous spaces, the clients and most of all its events team. We are already missing Dippy the dinosaur, under whose shadow we have served thousands of hungry diners, are eagerly awaiting summer 2017 when Hintze Hall re-opens and unveils his replacement, a Giant Blue Whale and we can’t wait to find out what she will be called. The AC have created some very exciting parties beneath the glowing earth dome. Guests can enjoy a journey on the escalator and discover just how lovely it is on the inside of the dome too. The Earth Hall is a fantastic space for drinks parties for up to 400 and provides an atmospheric backdrop to stylish dinners for 200 guests. It also has its own dinosaur, Sophie the Stegosaurus, the oldest and most complete specimen in the world and makes an incredible backdrop for speeches and shows as seen at this recent event. Steel beams and reflective glass, together with the white limestone floor and curved concrete walls, provide a bright and modern event setting. The opportunity to explore the Cocoon is an extra treat to any event. The courtyard is a tranquil environment for reception drinks followed by a dinner in the atrium and provides the perfect setting for a summertime party, with additional space inside. Why not combine this with North Hall, perfect for weddings. The state-of-the-art Attenborough Studio has a capacity of 60 people and can be used for press conferences and presentations, followed by drinks and canapés in the courtyard. There are also several other ‘unusual’ spaces available – Waterhouse Way, North Hall, Earth’s Treasuries and Images of Nature to name a few, where receptions or dinners sit in comfortable luxury among the exhibits. Once the Hintze Hall is back in full swing, the grand splendour of the sweeping staircase and stunning architecture will once again be home to many of the most prestigious weddings and dinners that any venue for hire in London can offer. 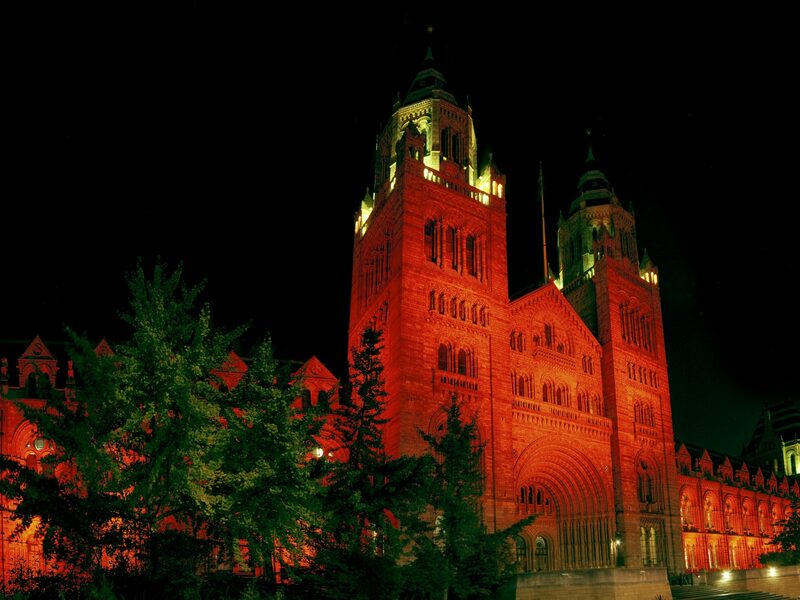 If you would like to experience the magnificence that combining The Natural History Museum and The Admirable Crichton provides, contact our team today.